The ARLIS/NA Mid-Atlantic Chapter will hold its fall meeting in Philadelphia on October 16, 2015. Several Philadelphia-area members will be posting profiles about their libraries and collections — watch this space and mark your calendars. Established in 1876, the University of the Arts is one of the nation’s only universities dedicated solely to educating students in the visual, design, and performing arts. Nearly 1,900 students are enrolled in more than 40 undergraduate and graduate programs, and are taught by almost 500 full- and part-time faculty members on the University’s campus on Broad Street, Philadelphia’s Avenue of the Arts. The University of the Arts evolved from two century-old institutions: the Philadelphia College of Art (PCA) and Philadelphia College of the Performing Arts (PCPA). 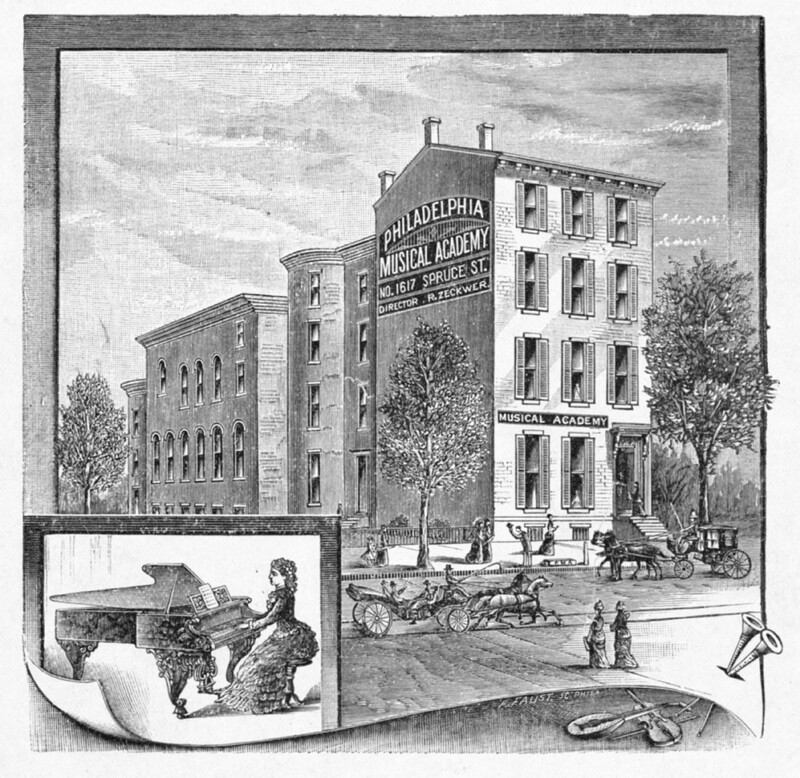 PMSIA purchased 320 South Broad Street in 1893. 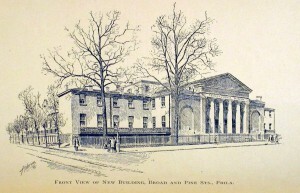 PCA was established in 1876 as part of the Philadelphia Museum of Art. Together, they were originally known as the Pennsylvania Museum and School of Industrial Art (PMSIA), created in response to the growing interest in art and design education stirred by the country’s Centennial Exposition. 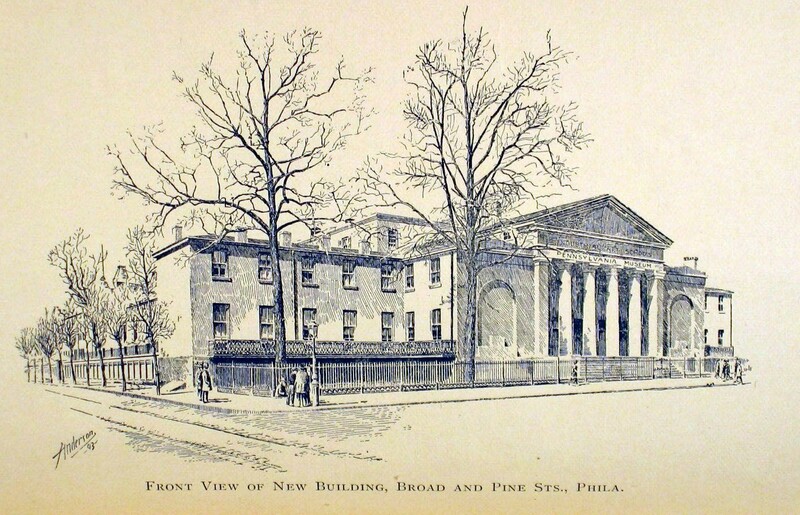 In 1949, PCA changed its name to the Philadelphia Museum School of Art, reflecting expanded programs that trained artists in a variety of areas. The school received accreditation 1959, and in 1964 it separated from the Museum to become the Philadelphia College of Art. The performing arts programs of the University of the Arts date back to 1870, when three graduates of Germany’s Leipzig Conservatory opened the Philadelphia Musical Academy, one of the first European-style conservatories of music in America. The Academy became an independent college of music in 1950, one of only eight institutions in the nation to offer four-year Bachelor of Music degrees. The school changed its name to the Philadelphia College of the Performing Arts (PCPA) in 1976. One year later, the Philadelphia Dance Academy (founded 1944) became part of PCPA and in 1983 the School of Theater was created, achieving the college’s ideal combination of dance, music and theater arts. 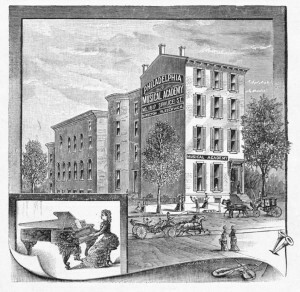 The Philadelphia Musical Academy, 1890 catalog cover. 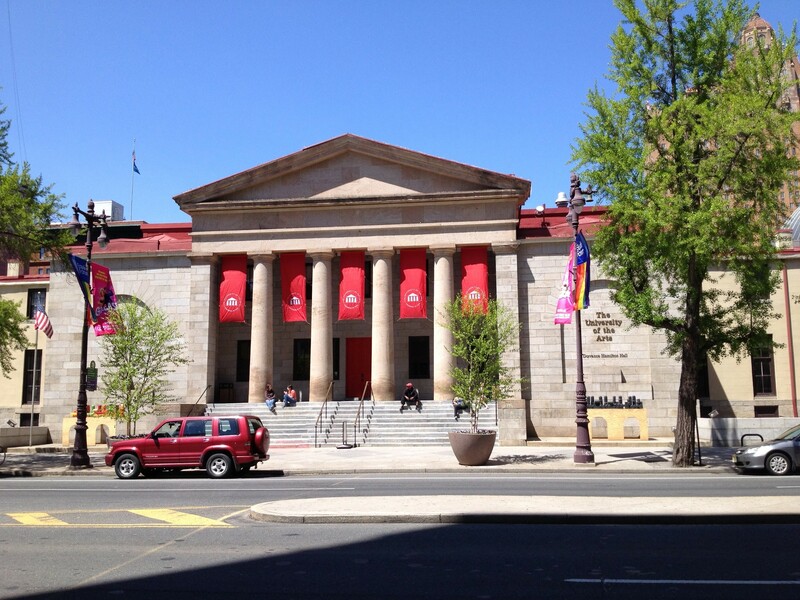 In 1985, PCA and PCPA merged to become the Philadelphia Colleges of the Arts. The granting of university status in 1987 brought about one more change, and the University of the Arts became the largest institution of its kind in the nation, offering programs in design, fine arts, media arts, crafts, music, dance and theater. 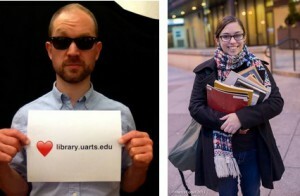 Supporting the mission of The University of the Arts, the University Libraries educates and inspires students to be effective researchers and critical users of information, and to apply those skills to their artistic, creative, and lifelong endeavors. The Albert M. Greenfield Library, Music Library, and Visual Resources Collection comprise the University Libraries. 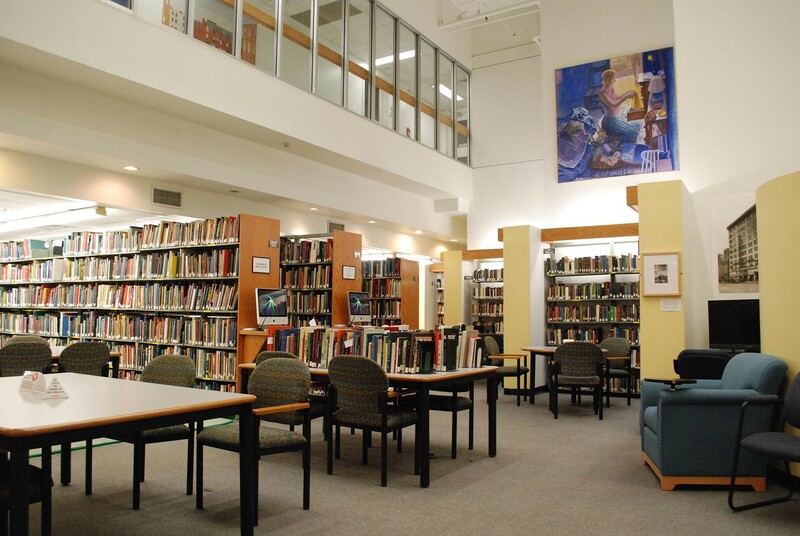 The Albert M. Greenfield Library serves as the main library for the campus and contains materials in many formats on art and design, communication, dance, theater, film and television, multimedia, liberal arts, and other general subjects. The Greenfield Library houses the Libraries’ administrative offices, as well as the University Archives. The Archives contains materials documenting the University’s activities and history. Albert M. Greenfield Library interior. Left: UArts Greenfield Library entrance. 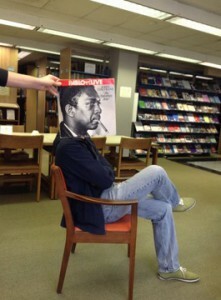 Right: A student in the UArts Music Library. Visual Resources and Special Collections (VRSC) provides image resources for teaching and study, and houses the Libraries’ Special Collections, with particular strengths in book arts and textiles, and also contains select collections of alumni work. The visual resources collections are made up of digital images and pictures of a variety of subjects with a focus on reproductions of artwork. The Music Library, located in the Merriam Theater Building, is a specialized library serving academic programs and interests in music and musical theater. The Music Library contains listening facilities for recorded sound in addition to general reading areas and a music education resource area. UArts Music Library social media photo. An institutional repository, UArts Digital Collections, is being developed to provide digital access to the University’s creative and scholarly output, and archival documents. 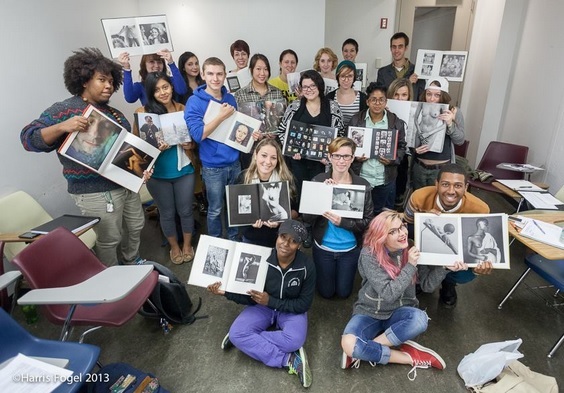 The growing collections represent the history of the University of the Arts as well as the artistic and creative output of its students, faculty, and alumni. The Libraries’ instructional program is supported by five librarians who also serve as liaisons to academic programs. The librarians provide in-class instruction as well as one-on-one and group sessions in the libraries. An online chat service accessible on the Libraries homepage is available for reference and other general questions. 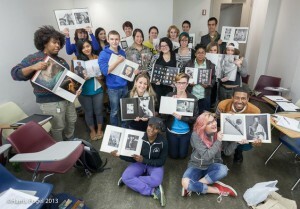 Professor Harris Fogel’s photography students with library books they selected. The University Libraries holdings include more than 129,000 books and bound periodicals, 19,000 music scores, 114,000 mounted and encapsulated pictures, 20,000 digital images, 21,000 items of recorded music in LP and CD formats, and 4,000 video materials in videocassette and DVD formats. Listening and viewing facilities, Internet and campus wireless access, and networked photocopiers for copying and scanning are available in addition to general reading facilities. The Libraries subscribe to more than 50 electronic reference tools both general and specific to the arts, including an ebook collection holding more than 120,000 multidisciplinary titles, as well as online periodical databases, encyclopedias, and streaming audio and video databases. The library maintains reciprocal use agreements with other nearby academic libraries. The following resources were compiled by Sarah Osborne Bender to support the Digital Humanities for Art Historians Mini-Workshop held at the ARLIS/NA Mid-Atlantic Summer Meeting, July 24, 2015, in Norfolk, Virginia. A free education account is available that allows you to create student groups, but this functionality isn’t necessary to use as an assignment. Documenting the Gilded Age – a New York Art Resources Consortium initiative to digitize and provide access to related materials spread through multiple institutions. University of Maryland PhD candidate Matthew Lincoln has pursued many projects combining art historical research and digital tools such as R Software and ArcMap. His blog and Twitter feed (@MathewDLincoln) are very informative. Students in UCLA’s Digital Humanities program examined data from the Getty Provenance Index through a variety of visualization tools and wrote about their experiences. Christian Huemer, head of the Project for the Study of Collecting and Provenance at the Getty Research Institute, has been experimenting with this data and presented on his activities at ARLIS/NA Pasadena 2013. Rosemont College professor Michelle Moravic delved in to correspondence of artist Carolee Scheemann. Librarians at Yale created Robots Reading Vogue using ProQuest for their dataset. When working with structured data, having clean or “tidy” data can make a big difference. Hadley Wickham’s article Tidy Data is an excellent introduction if you’re working with data in spreadsheets, especially surveys or values. You can also drop your spreadsheet into Open Refine. This extremely powerful tool is good for resolving erroneous variations in data, and many other things. Thomas Padilla, Digital Scholarship Librarian at Michigan State created an excellent guide to getting started in Open Refine. Where can you get data to experiment with? You can get unstructured data, full text of articles or correspondence for example, from sites like Project Guttenberg, Hathi Trust, even JSTOR, or places like the Archives of American Art that have full texts of things like oral histories. More institutions are opening up their collection data all the time. Just last week, MOMA released its collection data on Github, joining the Tate and the Cooper Hewitt.